Novuhair - Your Arms Against Hair Loss! It's a daily battle from paper workloads and going back home amidst the hardship of waking up early and pollution along the way, though. We tried to look best with beauty products. But, some has hazardous chemicals that greatly affects our skin and hair. So, don't go with the stream or trends. Switch to Novuhair. It is designed to naturally answer the hair loss problems. It has natural ingredients and scientifically proven to help promote hair growth. Change your plan from chemical products to an ingredient that is loved by nature. Choose Natural! Choose Novuhair! 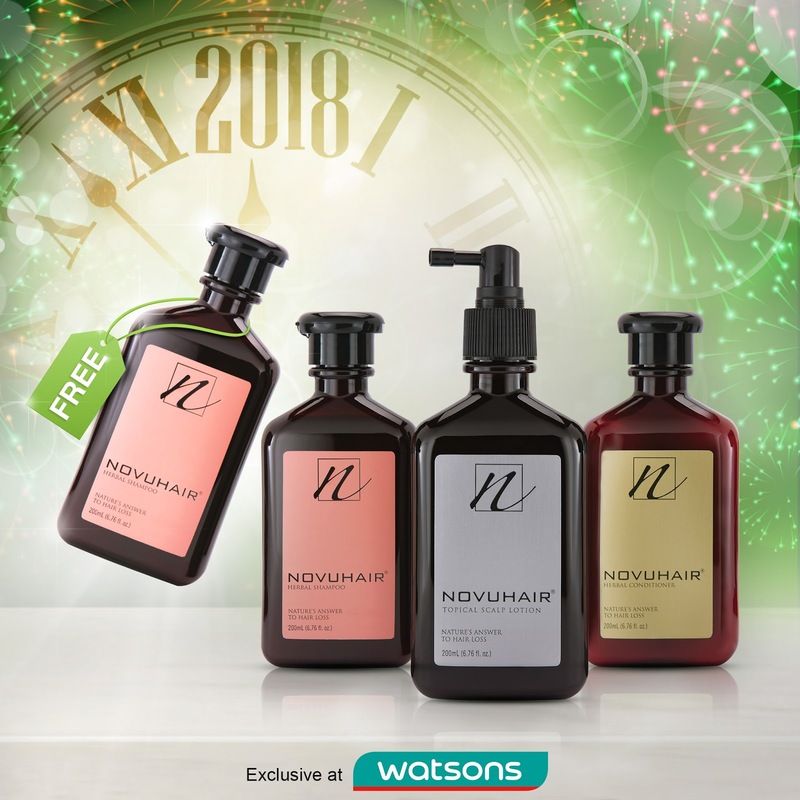 Introducing Novuhair 3-in-1 pack that consists of Topical scalp lotion, Herbal shampoo, and Herbal conditioner in which you will enjoy an extra 200ml. 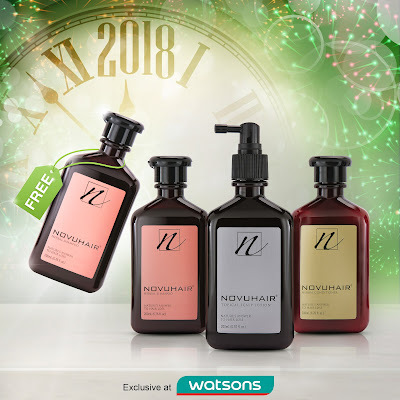 bottle of Novuhair Herbal Shampoo for FREE. This product is exclusive to the participating branches of Watson's stores.